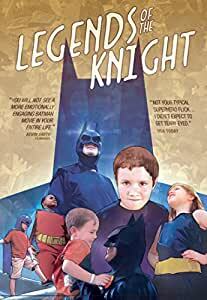 Legends of the Knight weaves together the uplifting true stories of individuals who have overcome devastating obstacles, unselfishly given to the community, and embraced their inner superhero because of their love of Batman. 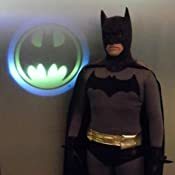 Through the deeply personal tales of Batman fans, writers, and filmmakers, this feature-length documentary explores the power of heroic stories and encourages viewers to find the own unique path to heroism. Funded by over 1,100 people from around the world, Legends of the Knight is a return to our childhood dreams of being a hero. 5.0 out of 5 starsLife can be so amazingly powerful with hope. Amazing! Life can be so amazingly powerful with hope. Thank you for sharing these stories of inspiration and determination. The documentary was incredibly well put together and executed. You don't have to a Batman or Comic book fan to appreciate this documentary. You just need to want to see the world become a better place and to do you part. Great work! 5.0 out of 5 starsA must see for any one seeking hope in their life, keep the kleenex handy. expect tears of joy. You will never view comic books or super heros in the same way ever again. Great stories to empower us all to be the Batman in any way we can.... right where we are, right now. 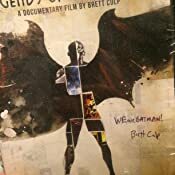 A must see documentary for any Batman fan and perfect for showing someone why you care so much about a comic book character. 5.0 out of 5 starsMy hero! 5.0 out of 5 starsDo Not Miss This Film! Great documentary, it was very touching and inspirational! I highly recommend it for families!